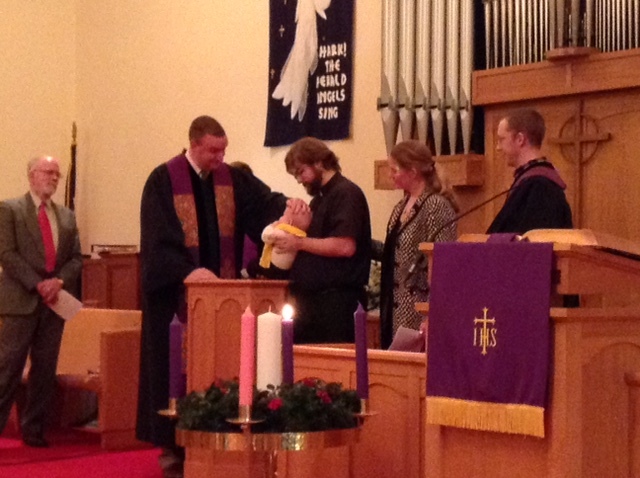 During worship at the Stated Meeting on Tuesday evening, Shenango Presbytery baptized Samuel John Creekpaum on behalf of the Sandy Lake Presbyterian Church. Samuel is the son of John and Beth Creekpaum (Coolspring and Sandy Lake, respectively). Rich Kinney (Highland) and Ralph Hawkins (EP) recently returned from a visit with our Presbyterian partners in SPEC: the Sudan Presbyterian Evangelical Church. Shenango has enjoyed a mission partnership with this communion since 1991. These days, SPEC is facing serious challenges both external and internal. From the outside, the government of Sudan is pressuring the denomination regarding its property holdings. From the inside, the leadership of the denomination is severely divided over these matters. As a result, Rich and Ralph are calling on Shenango churches to commit to serious prayer for the Sudanese church during our season of Advent. Shenango pastors and clerks will be receiving by email a specific prayer guide for Advent, but all are invited to pray for unity, healing, and spiritual strength for our SPEC partners in east Africa. For more information, contact Rich Kinney, chair of our Sudan partnership team, at 724-654-7391. Kyle Craig, age 28, fell and broke his neck over the weekend. He didn’t sever his spinal cord, but he is unable to breathe on his own and doctors are unsure if he will survive. He lives in Washington DC. His father, Rev. Jim Craig, was a long-time director of the Shenango Home.